So I got some garage time. I've picked up a push in diff 7 inch with the larger push in joints. Going to fit my shortened drive shafts and visually they look ok - missing the metal can do just visual for now.. Take apart another set of drive shafts with the same size push in parts and... The bloody tripod spider is the smaller shaft size. I've now got 6 shafts all with the same smaller spider and a mixture of push in parts but nothing to fit the damned shortened drive shafts. So the summary is, does anyone have the spider to fit the larger (standard?) 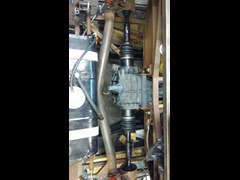 27ish mm drive shaft sitting in the garage? 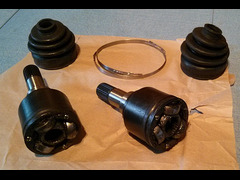 I have a new inner complete CV joint taken from a J&R Sierra push-in drive shaft. It appears to have the tripod for shafts with 25 splines of 28mm od. Think i also have a second one in my hut as I used two outer CV's and shafts to make hybrid shafts. That sounds fab. Let me know what you want for them and I'll PayPal you some money. I'll go and search for the second one tomorrow - I'm sure I saw it when I 'tidied-up' a couple of weeks ago. Do you have a new metal can to fit to the joint? When I refurbished my Sierra drive shafts a few years back I got kits from my local Ford dealer that included the metal cans (not sure they still sell them now though). 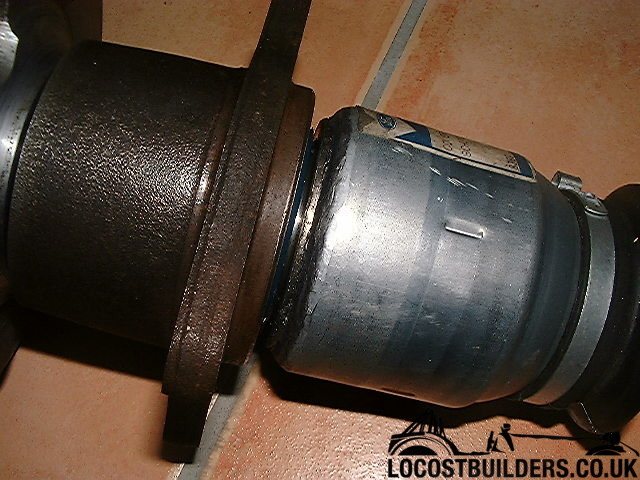 The old cans were a bugger to get off and the CV joints had to be held together whilst I peened the new cans closed. A bit of a faff (but not impossible) and they never leaked afterwards (3,000 miles). I have exactly the same problem! I'm in the process of ordering a custom length shaft, and it seems to get a resonable price it will be the 25spline version. However, the two pairs of shafts I have at home bothe have less splines. I've contacted a couple of suppliers (J&R is one of them) of new Sierra driveshafts and asked for the tripod splining, but haven't got a reply. I've got second hand shafts. The one pair that seems the right size are 25 spline. I didn't get a response from j&r when I tried to contact them. 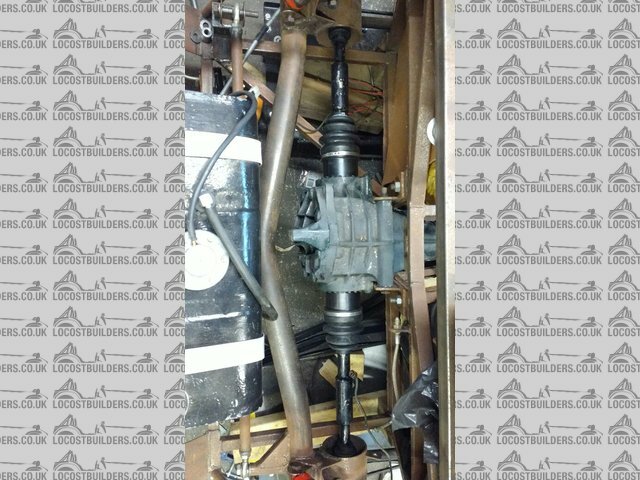 What I ment was if you could confirm that the tripods from J&R fit on a Ford 25 spline shaft (which I guess is what you have). However, I just got a reply from J&R, and they say "The tri pod spline will not fit as we use our design which is not same as Ford." They do make custom length shafts, but the price for one shaft (complete) would be £250 + VAT. However the j&r bit by the diff is slightly larger so it doesn't fit through the hole it normally passes through from the wheel side. I had to take the hub end apart and feed the shaft from the diff to the wheel then back into the diff. Edit - upload picture won't work from phone. Will try to update later. That is interesting information! Pictures would be great, to see your setup. Off topic but can any one tell me what the quality of the JR stuff is like. It looks cheaper to but a new pair of shafts than to buy second hand and tart then up. It seems good from my unreliable eye. NB the replacement push in parts are not Sierra, I'm guessing fiesta. They fit in the Sierra diff but the rubber boot is a larger diameter than the original. I'm guessing the can is larger too. This means if you have a circular hole in your upright which you plan to pass the drive shaft through it won't fit assembled. You need to pass it through without the rubber boot on. It's not the end of the world, just a bit of a pain / faff.